An amazing Cattleya and one of the very few to garner a First Class Certificate of 95 points at the 2002 Taiwan International Orchid Show ! Revered for its huge 17cm. 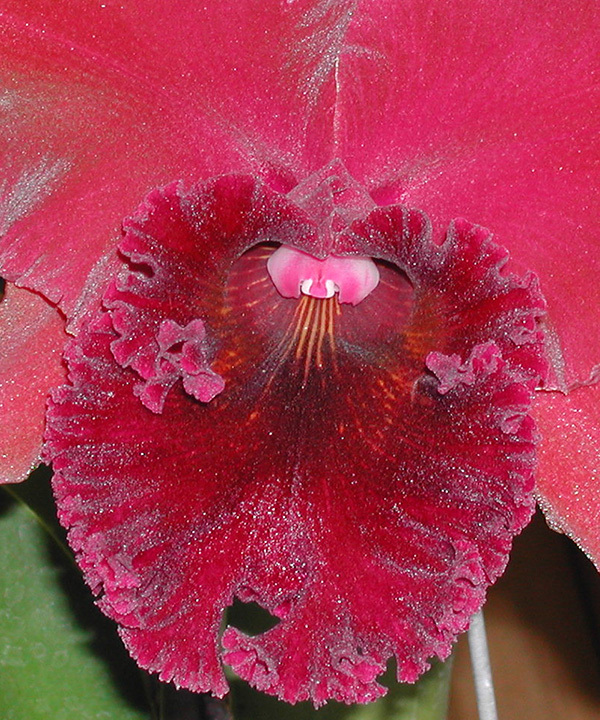 dark red fragrant flowers, it can produce a spray of 2-3 per spike, with a velvety texture and heavy substance. 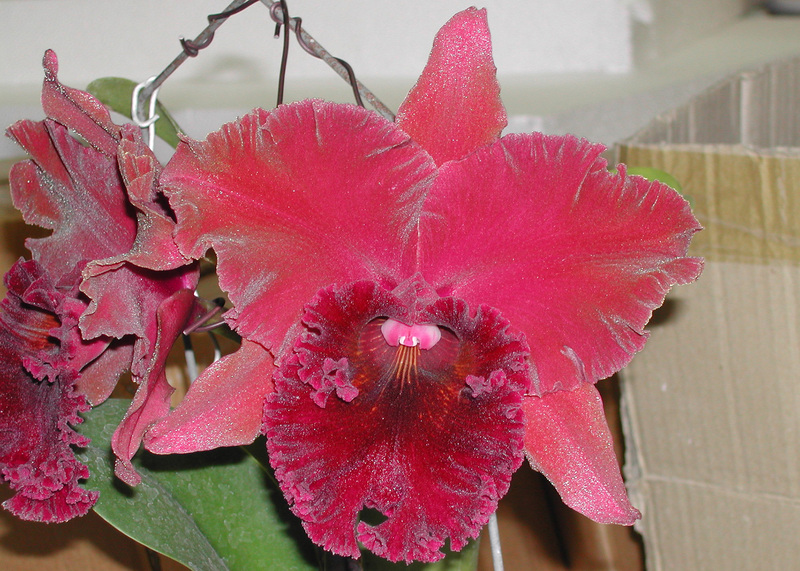 This particular clone, ‘P.C.T.’, is the darkest of all Blc. Chia Lin’s we’ve seen and is a more compact grower than either ‘Shin Shy’ AM/AOS or ‘New City’ AM/AOS. To complete the presentation, its frilled deep purple lip is accented with yellow striations in the throat. We are offering mature size plants with 4-5 growths. Very Highly Recommended !